"keeping the video memory at arm's length gives the VDP sufficient bandwidth for an extra level of indirection" exactly refers to the price many other micros pay, but the price isn't universal. E.g. there is no such cost on a Vic-20, Oric or BBC Micro, to give 20-column, 40-column and 80-column examples. Though in all three cases it's because the 6502 guarantees no bus accesses during the first phase of a clock cycle, and therefore well off-piste for a 'Z80 big family' talk. I've no idea why you insist that the Spectrum's solution — providing faster-than-MSX processing in two-thirds of its RAM — is "not clean". As above, this sounds like an attempt at a cheap disqualification. The solution implemented (i) is suitable for cheap mass production; (ii) scaled up to larger memory sizes; and (iii) puts zero burden on the programmer. comouter you mentioned have less bandwidth requirement for video due to no sprite facilities or les vram x screen. the usual clean solution used to implement contended memory is a dma request like in the c64. Te speccy solution is a dirty solution that had been used only for the cheapness. Even if most try to label as genial solution the real motivation was to reduce cost. No electtical engineer can imagine to implement a similar way to share a data or address bus. It is the same thing i when i hear c64 fans claiming the 6502 cpu is a kind of RISC ancestor because of small instruction set or limited registers. The 6502 is CISC processor with limited register and instruction set created only to contain price. Not a genious intuition. Only a cheap cpu. Period. you say "I think it's dirty. I claim that everybody thinks it's dirty". Repeating yourself, still without any reasoning, isn't generally considered persuasive. you counter that the 6502 is "not a genious intuition. Only a cheap cpu.". I'll take the sudden digression to mean that you accept that the counterexamples disprove your original statement. The speccy design is dirty due to excessive attention in reducing cost. It is the only machine that suffer from the snow effect due to sacrifice everything to cheapness. this also apply to you. I ve argued my considerations. Thanks for the Retrocomputing StackExchange link; you'll notice that the answer with the most votes is by 'Tommy'. Check out the GitHub link in his network profile, and check out the GitHub links I've been providing for my emulator. So I'm grateful that you'd point to my own comments as a useful source. This page gives a better explanation of the 'snow effect' ( faqwiki.zxnet.co.uk/wiki/ZX_Spectrum_ULA ) and as far as I know the above Wikipedia article is wrong. It's not triggered by normal memory access to contented memory at all, you have to be doing something with interrupts. Though it's only very tangentially "something to do with interrupts", it's setting the I register so that refresh addresses, taken as their full 16 bits, are in the contended range. The ULA's clock-stopping behaviour is evaluated based on address posted on a downward clock transition as long as MREQ is not currently asserted. However, the designers failed to spot (or, possibly, didn't care) that MREQ is asserted right at the very beginning of a refresh cycle. So those aren't halted. get a refresh cycle exactly to line up with the ULA fetch window. The snow effect is known to be exhibited by exactly two software titles, both of which cause it to occur on purpose as a special effect. It is not evident when using the BASIC, or any other software title, and none of them are taking special steps to prevent it. In that case, the ULA's logic for performing refresh on the lower 16kb interferes with its normal address behaviour. The Spectrum 16/48kb is indeed the only machine with that specific bug, because it's so closely tied to that particular ULA. The bug is unrelated to the floating bus, other than perhaps that the floating bus made it latent. The same bug would have had the same effect whether or not there were an intention to provide different CPU timings in different areas. That's why it affects the 16kb Spectrum too. The bug is fixed on the 128kb machine, with no effect on CPU timing. However to try to evaluate "It is the only machine that suffer from the snow effect ... That is a fact not an opinion": either (i) you meant that the Spectrum is the only machine that suffers from a bug in the Spectrum's ULA; or (ii) that it is the only machine to exhibit a snow effect. Since (i) is circular and redundant, I assume you mean (ii). the TRS-80, which contains a Z80 CPU. the MSX model of display is different but also extremely capable. Hence e.g. Road Fighter or Shalom (which also shows the MegaROM advantage). Neither can be disqualified with an "I don't like it". It actually can't. You've repeated your assertions. Each time you've made an assertion, I've provided evidence to explain my response. Prior to my comment, you'd declined to provide any evidence. Go back and evaluate: which of us is explaining how the hardware works in order to make their point, and which of us is merely using adjectives? Or, enlighten us, in your post of 07-02-2018, 21:56 at the top of this page to which my quoted comment directly responds, what argument are you presenting for the Spectrum's approach being "dirty"? What reasoning is present in that message? Why would anybody who read that message be persuaded to agree with the assertion that it's "dirty"? Come on boys... we are here to exchange our knowledge and experts and find solutions to any problems we face. There is no computer better than the other. Every computer is the best on its own. Yes I disliked computers with rubber keys like Spectrum and SVI-318 and loved computers with professional and elegant looking ones like SVI-328, most MSXs, Commdore 128-Amiga, Atari STs and PCs which are not as cheap as Spectrum but look the other way... Spectrum was cheaper so lots of people got it compared to other computers. I dreamt of buying an MSX2 (Sakhr AX-350 or later on AX-370 and AX-500) but I couldn't because it was to much for my father's monthly salary. He barely agreed to buy me my Sakhr AX-170 which is MSX1. Beside Spectrum is not that bad. 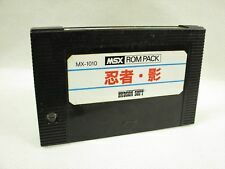 I guess MSX-ers sometimes just hold a little grudge from the many poor Speccy ports we got ;p.
MSX appeared so late of the 8bit era and close to 16bit era. That's why its design was sophisticated compared to other 8bit ones but I can accuse MSX designers of being cheap and they too was building a cheap computer not a practicle and powerful one. 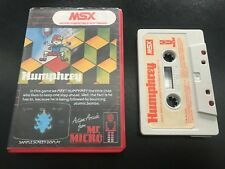 So, soon they tried to correct their mistake by producing MSX2 but still they didn't make it a 16bit to compete with other new rivals like Commodore Amiga and Atari STs which apeared at that time of MSX2s. They made an upgrade to MSX1 and yet with the same "cheap computer" idea. They could've upgraded the main CPU to 16bit, upgrade the sound chip. They barely upgraded the video chip and gave that "MSX upgraded video and memory mapper" a floppy disk drive as a lollipop to cover for their cheap upgrade. i know, i've just linked this because if you argued this link in a negative way my reply could have been ' you wrote by yourself this'. - cga snow flickering does happen if you violate a specific rule in accessing vram, it is stated you should never try to do it. so it is a limitation, not a hardware 'bug' as on zx, caused by the same reason: cheap design. - cga snow flickering occour only on (again! to prove my point) cheapest cga video card, later models did not have any issue.